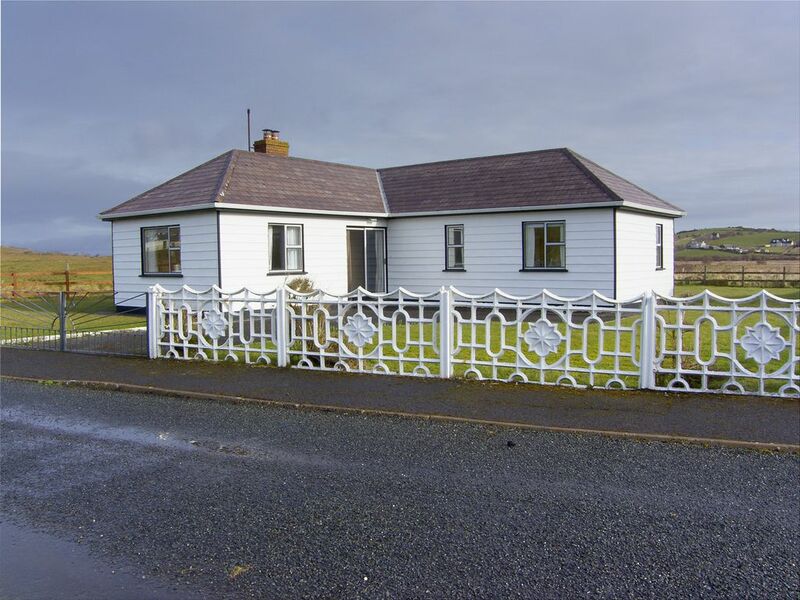 This detached bungalow is in a quiet Cul-de-sac, a mile from Rossnowlagh Frairy, 6 miles from Ballyshannon and 11 miles from Donegal town. Rossnowlagh is a small seaside village with hotel, bar, restaurant and a wonderful blue flag beach that is renowned for board surfing. Bring a wet suit and enjoy all day on the beach, which is just a stroll away. Locally there is fishing and Kayaking from Creevy pier and beach horse riding in Bundoran, which also has an indoor wave pool for those rainy days. The local Smugglers creek restaurant and bar is a must to visit.Shop. Pub. Restaurant. Beach 500 yards. GF: lounge/diner, kitchen, double, single, double with additional double, bathroom with shower over bath.Electricity and oil central heating included, linen and towels included, No Smoking, electric fire, travel cot, high chair, TV, dvd player, radio, fridge with small ice box, microwave, w/machine, dryer, uk tv channels, welcome pack, partially enclosed garden, garden furniture, private off road parking. Sorry no pets.